138 pages | 20 B/W Illus. 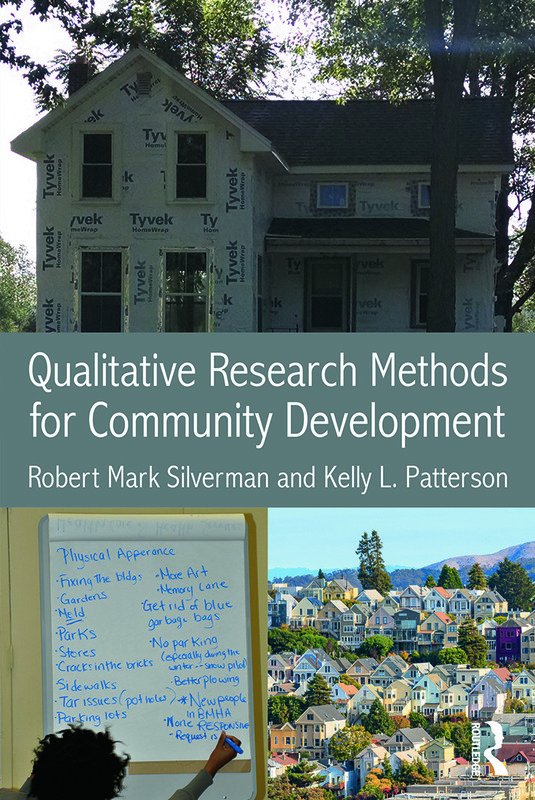 Qualitative Research Methods for Community Development teaches the basic skills, tools, and methods of qualitative research with special attention to the needs of community practitioners. This book teaches students entering planning, community development, nonprofit management, social work, and similar applied fields the core skills necessary to conduct systematic research designed to empower communities and promote social change. Focusing on the basic elements of qualitative research, like field observation, interviewing, focus groups, and content analysis, Qualitative Research Methods for Community Development provides an overview of core methods and theoretical underpinnings of successful research. The book provides examples from past research used in transformative community projects across multiple disciplines. From housing, community organizing, neighborhood planning, and urban revitalization, this book gives students the skills they need to undertake their own projects, and provides professionals a valuable reference for their future research. The book serves as a primary text for courses in applied qualitative research, and as a reference book for professionals and community-based researchers. In addition to content detailing core methods used in qualitative research, it includes a chapter which provides guidance for the dissemination of qualitative results to a spectrum of audiences applying qualitative methods to action research and community empowerment. Kelly L. Patterson is an Assistant Professor in the School of Social Work at the University at Buffalo. Her research focuses on rent vouchers, fair housing, discrimination, social policy, and the African American experience. She has published in Housing Policy Debate, Housing and Society, Journal of Black Psychology, and other peer reviewed journals. She is co-editor of the forthcoming Schools and Urban Revitalization. Robert Mark Silverman is a Professor in the Department of Urban and Regional Planning at the University at Buffalo. He holds a Ph.D. in Urban Studies from the University of Wisconsin-Milwaukee. His research focuses on community development, the nonprofit sector, community-based organizations, education reform, and inequality in inner city housing markets. He has published in Urban Affairs Review, Urban Studies, National Civic Review, Action Research, Community Development, Journal of Black Studies, Journal of Social History, and other peer reviewed journals. He is co-editor of the forthcoming Schools and Urban Revitalization.